Woo-hoo! I'm following through on my 52 Week Blog Challenge! Today's topic: One hobby I would like to start. I have three. You know me - always the rebel. 1. Weaving. I really want to learn to weave. On a machine/"real" loom, not that plastic thing they sell at the big box craft store. I'm hesitant though. I want a to learn on a "real" loom and "real" looms are expensive and what if I hate it? Because honestly, I'm not fond of weaving on the plastic looms from the craft store. Do I not like craft store weaving because of the cheap loom? Because you can only make potholders? Or because I don't actually like weaving? I've been embroidering more but it is harder, as for me it often requires concentration. I would like to weave on a loom, but they are soo big! will check out the Cricket loom. One thing you might want to play with is a drop spindle. It isn't really at all like spinning on a wheel but you kind of get the idea of working with fiber and seeing the process of roving turning into yarn. I learned how to spin on an Ashford Kiwi and you can often find them at low prices on Ebay (used). I got my adorable little Wolf Pup loom from someone on Ravelry who was moving up to bigger things. There is a group just for selling off weaving things. My little loom is just perfect for dishcloths and scarves. The Webs tutorial on You Tube taught me everything I needed to know. I love it. I learned to spin on a small lightweight drop spindle and highly recommend them for beginners. You can make a lot of yarn on them for a little investment. When you get good at that you can decide to move up to a wheel if you get hooked. I got my wheels from Ebay for a great price. The trick to spinning is getting GOOD fiber. If it's itchy and scratchy you're wasting your time. Stick to Polwarth or Merino. Actually....if you go to Ravelry (I'm Araignee) and DM me your mailing info I'll send you a learn to spin kit. 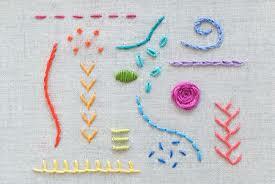 I am downsizing and was just getting ready to toss lots of lovely fiber that would be fun for you to play with. I even have a small spindle I don't want anymore. I might even be tempted to throw in some soap! I know how to embroider, I've learned to spin (not that crazy about it, would rather knit), and I have always wanted a loom. 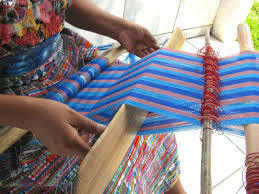 But the warping the loom does not interest me, so I just stop looking at looms. And, how many scarves can a person have? I'm with you on the weaving. 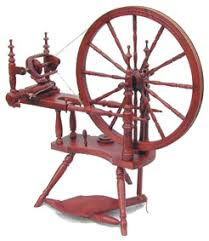 I actually bought a rigid-heddle loom, a small table-top model, but haven't found the time to figure it out. I hope I like it ... seeing as I already bought the darn loom! Spinning does not appeal to me -- thank Goodness! The last thing I need is another craft. I j jumped into weaving like a mad woman and ended up having four different looms, I would go for a scarf loom first because you can always make a ton of scarves. My first loom was a huge rectangle loom that was a continuous loop, it was really wonderful and I used it for a long time. My mistake was my 20 in Ashford loom, not big enough to make wide things and frankly too big to haul out to make a scarf. Good luck!